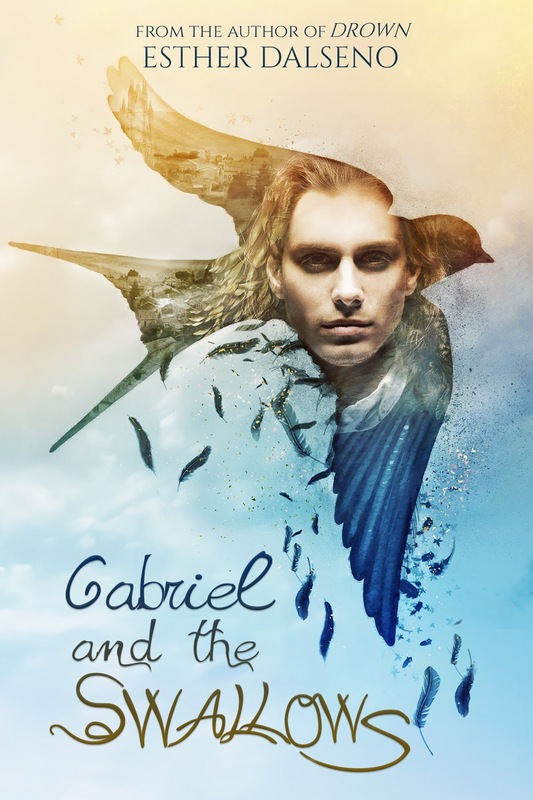 Mad For Books, Luv: Gabriel and the Swallows by Esther Dalseno Cover Reveal! Gabriel and the Swallows by Esther Dalseno Cover Reveal! 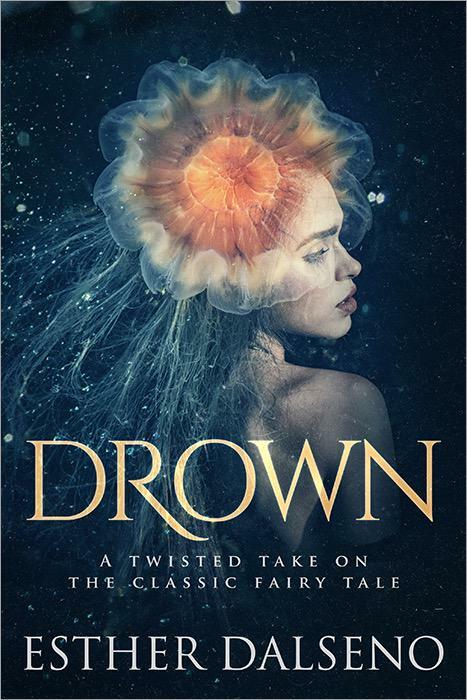 So, back in October Esther Dalseno's book DROWN came out and I was extremely excited to read her book! and now, her NEXT book is coming out and I can't contain my happiness! I myself love the cover, and I will show it to you all now! Before I go on, the beautiful cover was designed by Kimberley G.
A girl with swallow's wings. An ancient city buried in a volcano. A mystery as old as blood and bone. There is more to Gabriel than the life he's ashamed of -- the song of peasant winemakers, bullied relentlessly on account of his disabled mother. For Gabriel has a secret: the elaborate dream world he descends into at night -- a grandiose, vivid existence -- is becoming more real than his waking life. Everything changes for Gabriel when he rescues a wounded creature -- a miraculous girl with swallow's wings -- from the voracious pursuit of Alfio Gallo, a dangerous old enemy. Aided by the beautiful and mysterious Orlando Khan, Gabriel is conflicted by unanswered questions: who is the Dark One that dwells in the medieval tunnels beneath their city? Is he just a figment of Gabriel's powerful imagination? And is the foundling really who she says she is? Wrestling with manhood whilst beckoned by ancient rites and foreign lands, Gabriel is about to make a deadly decision that changes the course of life as he knows it...as long as he can decide which reality he's in. A beautiful, malicious witch haunted by memories. Belonging to a race that is mostly animal with little humanity, a world obsessed with beauty where morality holds no sway, a little mermaid escapes to the ocean’s surface. Discovering music, a magnificent palace of glass and limestone, and a troubled human prince, she is driven by love to consult the elusive sea-witch who secretly dominates the entire species of merfolk. Upon paying an enormous price for her humanity, the little mermaid begins a new life, uncovering secrets of sexuality and the Immortal Soul. As a deadly virus threatens to contaminate the bloodstreams of the whole merfolk race, the little mermaid must choose between the lives of her people, the man she loves, or herself. I loved Drown, so I hope (I know) that I will LOVE Gabriel and the Swallows! and can we just take a minute to appreciate the cover? It is so pretty! I seriously love it so much! Writing and teaching, she has lived in Laos, Vietnam and South Korea and has traveled the world extensively, from Johannesburg to Barcelona. Esther now lives in with her family in Berlin.